It’s no secret that I love researching black sheep ancestors when tracing my family tree. Why? They leave behind the best paper trails! 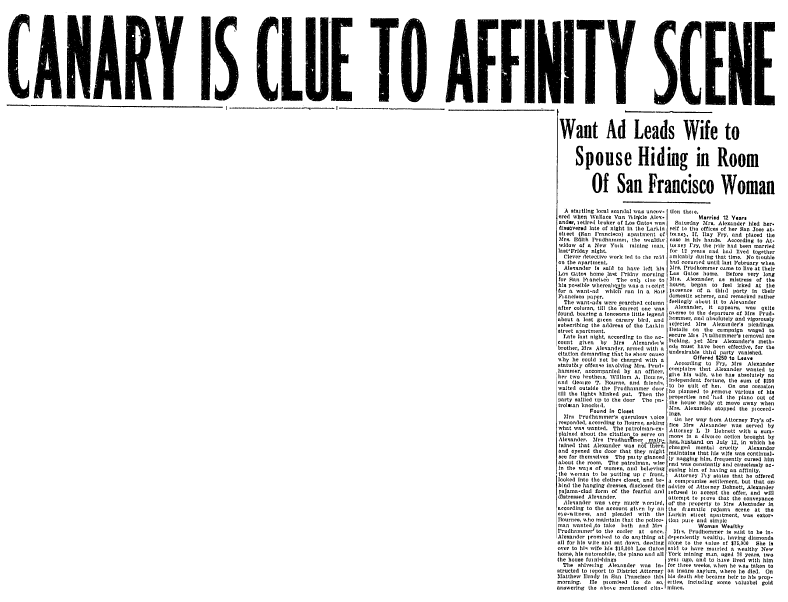 And if there’s one place to learn more about your black sheep ancestor, it’s in old newspapers – like those in GenealogyBank’s Historical Newspaper Archives. I could literally spend days finding examples of articles memorializing those ancestors who didn’t walk the straight and narrow. To get you started on your own family black sheep research quest, here are a few examples of articles I’ve discovered in the old newspaper archives. Police blotter articles are short listings documenting arrests and police activities. 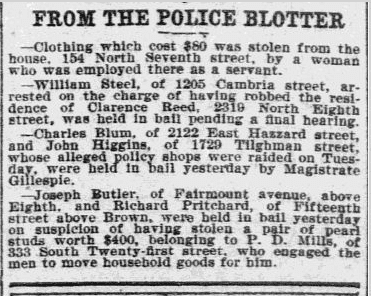 They can provide a lot of information, including the name of the party arrested, their crime, the address where the crime occurred, and even the name of the victim – as in these examples from May 1900. Henry Haig, alias Kendig, who has only been out of jail two weeks, was sent to prison pending trail [sic] on the charge of having stolen bicycles belonging to Thomas Magee, of 2247 Dickinson street, and William H. Urner, of 22 South Nineteenth street. What a great find for someone unaware that their kin used more than one surname. 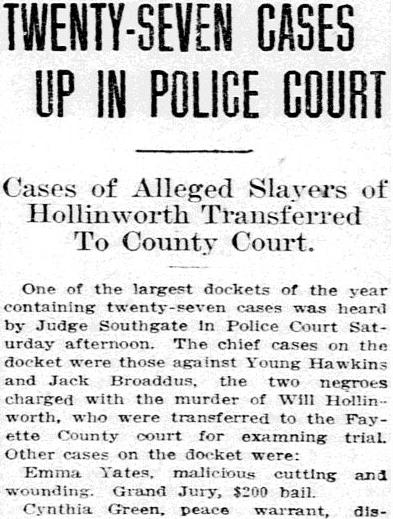 The nice thing about reading your ancestor’s court case in the newspaper is that you can follow it up with the actual official court records. In this list from the Lexington Herald of police court cases, some are violent crimes like murder and assault – but many are less serious, such as drunkenness, loitering, and disorderly conduct. My favorite in this list is the last entry for Mrs. A. B. Lancaster, charged with reckless driving – in 1913! Your black sheep ancestor might not have committed what we would define as a crime today – but they may have acted in a manner that was criminal at the time (and most people would continue to disapprove of). In today’s world we get our fill of the private lives of celebrities, but don’t forget that the unwise choices of normal, everyday people can also be found in the newspaper. 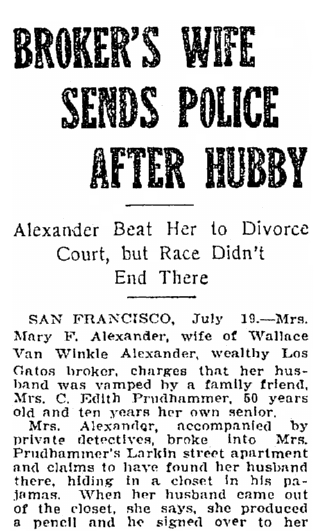 Consider the California case back in 1921 of Wallace Van Winkle Alexander, his wife Mary, and his alleged mistress Edith Prudhomme (sometimes misspelled as Prudhammer). Mrs. Alexander first became suspicious of the relationship between her husband and family friend Mrs. Prudhomme after finding a classified ad about a lost canary. Coupled with her husband’s absence, Mrs. Alexander suspected that her husband was with Mrs. Prudhomme in her apartment. Mary Alexander contacted the police and they raided Mrs. Prudhomme’s apartment, finding Mr. Alexander hiding in a closet wearing pajamas. 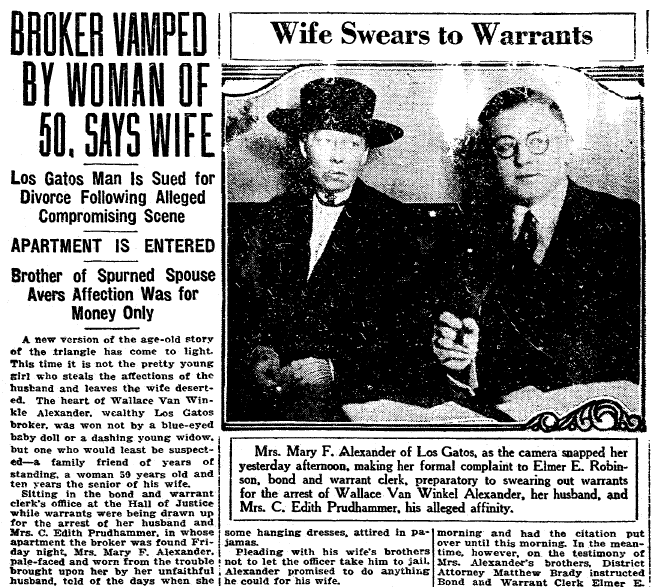 Probably even better than the initial story of catching her husband red-handed is a follow-up news story that shows a photo of Mary Alexander swearing out a complaint against her husband. It just goes to show that you never know what kind of photos you’ll find in the newspaper. The heart of Wallace Van Winkle Alexander, wealthy Los Gatos broker, was won not by a blue-eyed baby doll or a dashing young widow, but one who would least be suspected – a family friend of years of standing, a woman 50 years old and ten years the senior of his wife. Alexander explained his presence in Mrs. Prudhammer’s apartment in his pajamas by saying that the hot water at his own apartment was seldom very hot. He said he went to the apartment of Mrs. Prudhammer, an old family friend, and told her that he wanted to use her tub. He had just undressed, he said, when the door bell rang, and he hastily rushed into a closet and donned a pair of pajamas. The story goes on to say that Mrs. Prudhammer verified Mr. Alexander’s story but added that she protested when he said he wanted to use her tub. We’ve talked about the richness of images in the newspaper in previous blog articles. 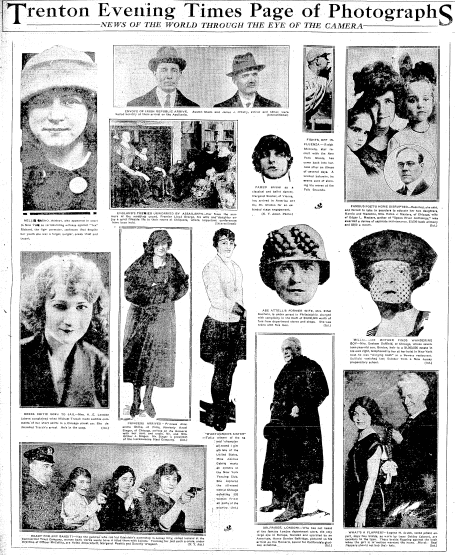 One of my favorite sections of early 20th century newspapers is the photographs page where images are accompanied with a sentence or two about their significance. This feature acted as an image wrap-up of current news stories from around the globe. 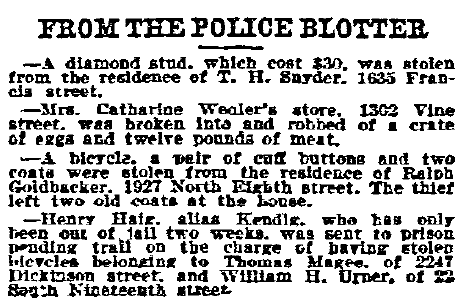 This 1922 example from Trenton, New Jersey, has several examples of nefarious dealings – including two photos dealing with a husband’s abandonment, and another about a wife’s inclination to steal furs. As time went by, activities that once earned the black sheep label seemed sedate to later generations. Old newspapers allow us to get to know the sensibilities and moirés of an earlier time. Black sheep ancestors include those who pushed the boundaries of current convention. Consider your 1920s grandmother who dared to bare just a little too much leg and received a monetary fine for doing so. While the example in the next newspaper article is from Germany, I’m sure evidence of such practices can be found for the United States. 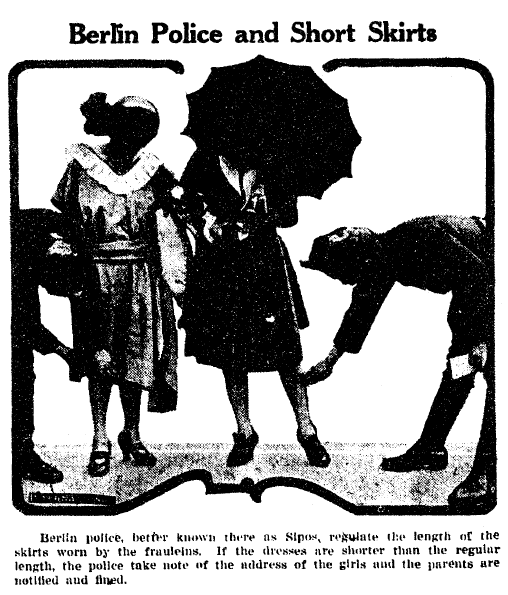 These two police officers have the most dreadful task of measuring young women’s skirts and issuing fines for their lack of length. I have to admit that I would absolutely love to find one of my female ancestors in a police record for wearing a short skirt! It’s possible that, if your grandmother was wearing her skirts too short when she was young, she was also going to dances, smoking cigarettes, and drinking. 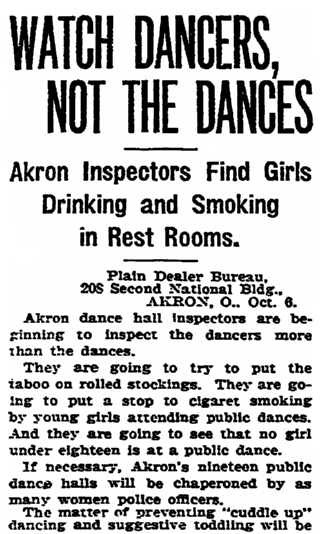 The more I read old newspapers the more I realize that teenagers haven’t changed much in 100 years. GenealogyTip: Black sheep ancestors may have left other records. Follow up what you find in newspaper articles with other documents like court records. Your ancestor may have been the black sheep of the family for any number of reasons, ranging from committing crimes to engaging in adultery, or perhaps an activity that is commonplace now but considered scandalous back in the day. Embrace your black sheep ancestors and look for their stories in the newspaper – and if you know of any black sheep in your family tree and are willing to share the stories, tell us in the comments section.